This is a Japanese translation of Unofficial Skyrim Legendary Edition Patch with Japanese voice. Japanese voice is edited faithfully according to the original voice editing. 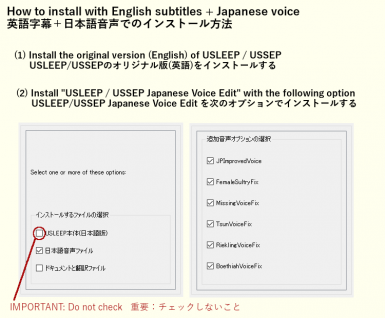 You can also install a improved version of vanilla's Japanese voices as an option.